Come talk to us in #flopper on the Cyclops Discord server! Here's the Flopper, a Fluid Hopper! 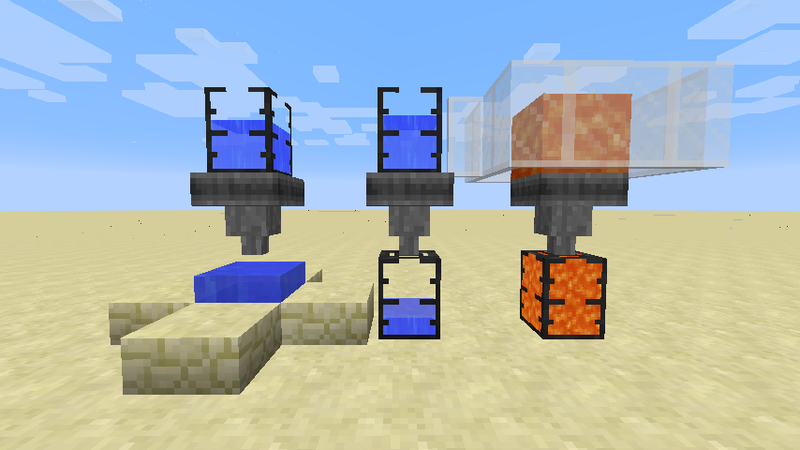 The Flopper is an early-game block to move around fluids, just like the Hopper does for items. It is able to take in fluids from the top (either from a tank, or from the world), and push it to the target side (either to a tank, or to the world). Tanks will always have a preference over world-interaction. 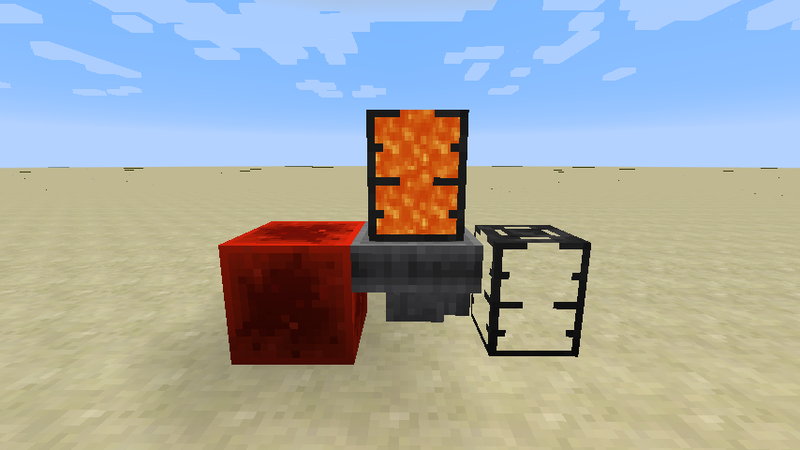 Note: Tanks are not included in this mod, those are Dark Tanks from EvilCraft. This block has no GUI, because who needs GUIs anyways? Instead, you can right click on the block to display contents. 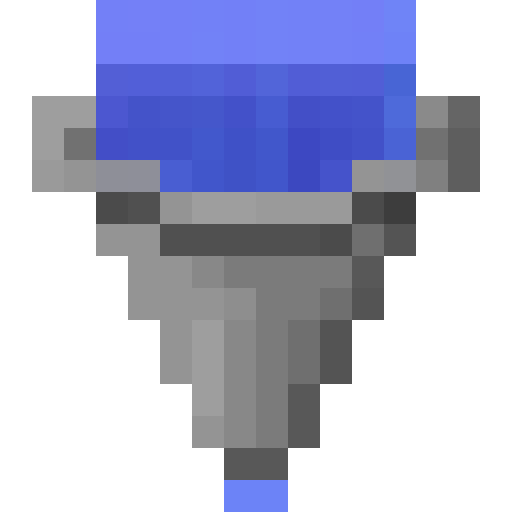 The contained fluid will also be rendered dynamically (can be disabled). 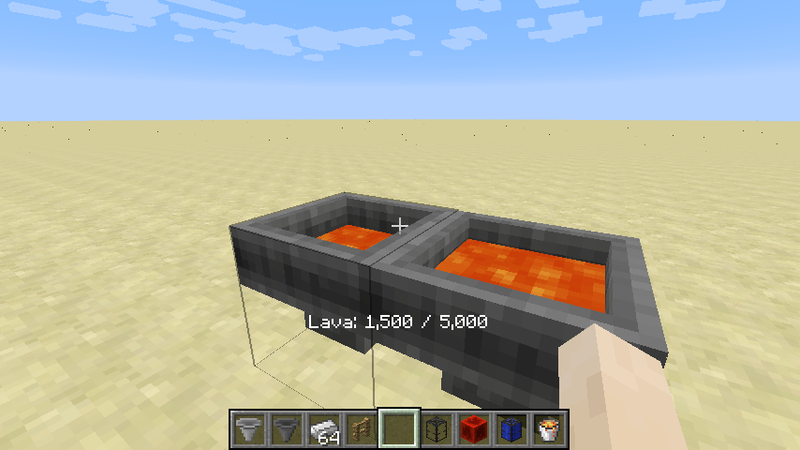 You can also right-click to insert fluids from any fluid tank item, or extract by shift+right-clicking. And yes, the Flopper has proper bounding boxes that allow you to click on blocks behind it. Just like the regular Hopper, you can disable it using a redstone signal. # The maximum capacity in mB. # If the collision boxes should be made smaller to allow clicking behind the flopper. # The rate at which fluids can be pulled from other tanks. # If fluids should be pulled from the world. # The rate at which fluids can be pushed to other tanks. # If fluids should be pushed into the world. # If the contained fluid should be rendered. # The number of ticks each flopper should sleep after picking up or placing fluids. # If neighbour-change events should be triggered when placing or picking up fluids to/from the world. # If sounds should be placed when placing or picking up fluids to/from the world. This mod was inspired by the pre-1.12 Funnels mod.